Busy day attending lots of classes and meeting with leading suppliers and industry professionals. New products, technology and standards to take on board. 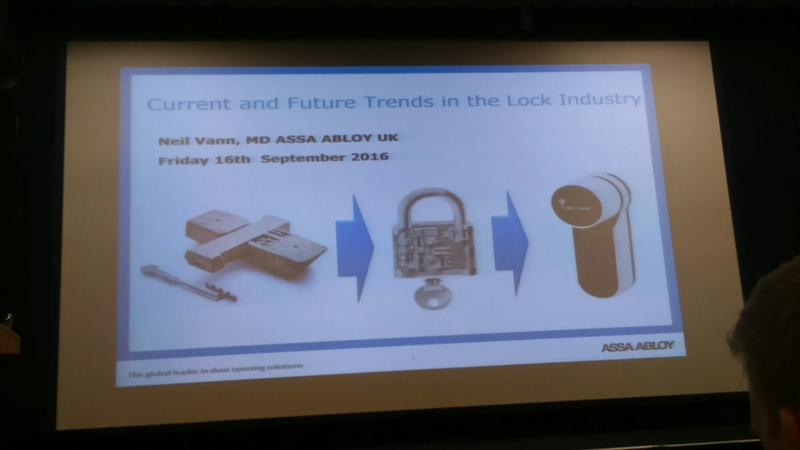 Keynote speech delivered by Neil Vann of Assa Abloy.